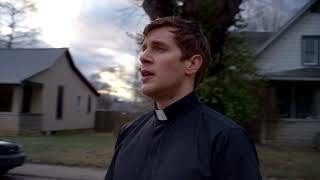 Daniel (Zachary Spicer) is a young, idealistic priest who loves his work more than anything. While he struggles to find balance between the dueling philosophies of his mentors, Father Victor (Danny Glover), an old school, no nonsense traditionalist, ... show all and Father Ollie (John C. McGinley), a chainsmoking, carb addicted Franciscan, Daniel’s passion for his calling never waivers. And then he meets Jane. After a chance encounter during a late night confession, the complicated and mysterious Jane (Wrenn Schmidt), starts to open up Daniel’s world to an entirely different set of possibilities. And problems. As new bonds form and old ones are tested, Daniel must decide what his true calling really is — and whether or not he has the courage to answer it.